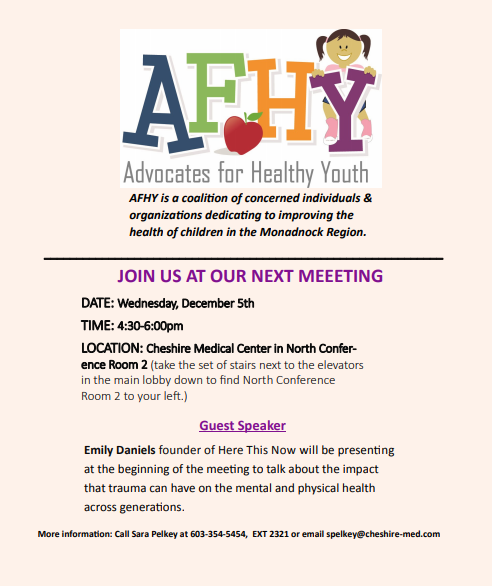 AFHY is a coalition of concerned individuals and organizations dedicated to improving the health of children in the Monadnock Region. Join us at our next meeting. All are welcome. Guest speaker Emily Daniels, founder of Here This Now, will be presenting at the beginning of the meeting to talk about the impact that trauma can have on the mental and physical health across generations.